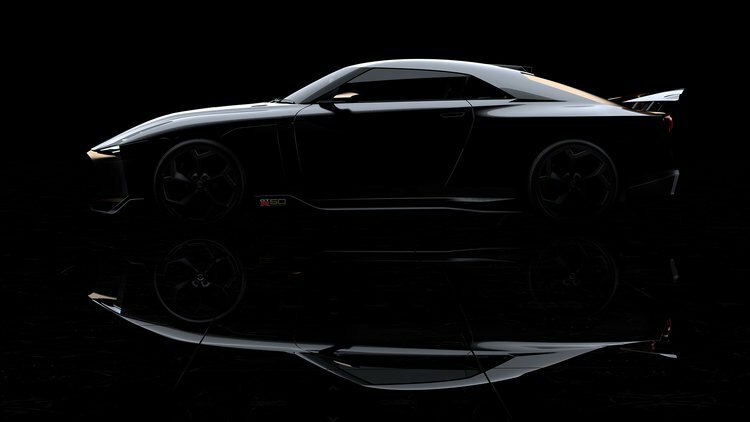 You are at:Home»News»The Nissan GT-R50 has been teased! The Nissan GT-R50 has been teased! The Nissan GT-R50 has been teased, ahead of its full reveal next month. While the exterior and interior designs were created by Nissan this release will also feature new developing, engineering and building through Italian design house, Italdesign. Based on the Nissan GT-R Nismo, it will be powered by the same 3.8-litre twin-turbo V6 as the standard car, although tuning is likely to increase performance to 530kW of power and 780Nm of torque. Italdesign will keep the overall design to be recognisable as a GT-R, including large LED headlights, twin ‘stove-burner’ tail-lights and adjustable rear wing. Stay tuned for the full reveal next month.